The season of festivals has gone by and the season of weddings has arrived. During the functions that precede the weddings and the actual event itself, everyone wants to look their best. While women know what they want, finding the right outfit can get a bit confusing for men. 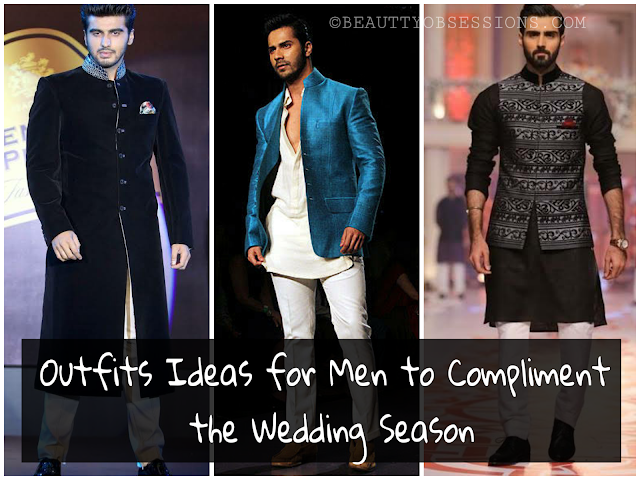 So I thought it would be a good idea to share some awesome men wedding dresses to rock the wedding season without any hassle. What say....? Let's start. Few outfits draw attention like a well fitted Afghani Suit does. It is an outfit that looks both formal and eye-catching. 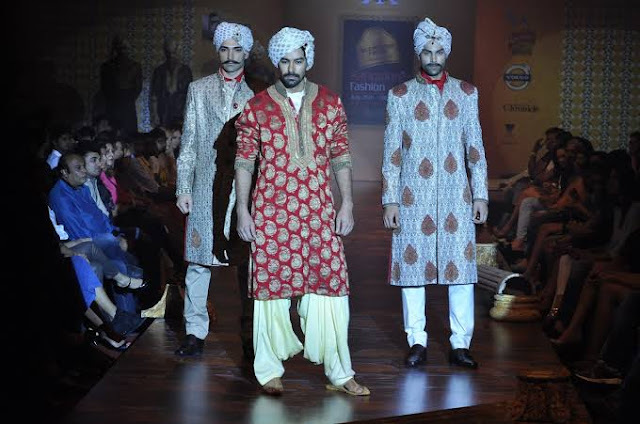 This aspect makes the elegant looking Afghani suits ideal for haldi or sangeet ceremonies. 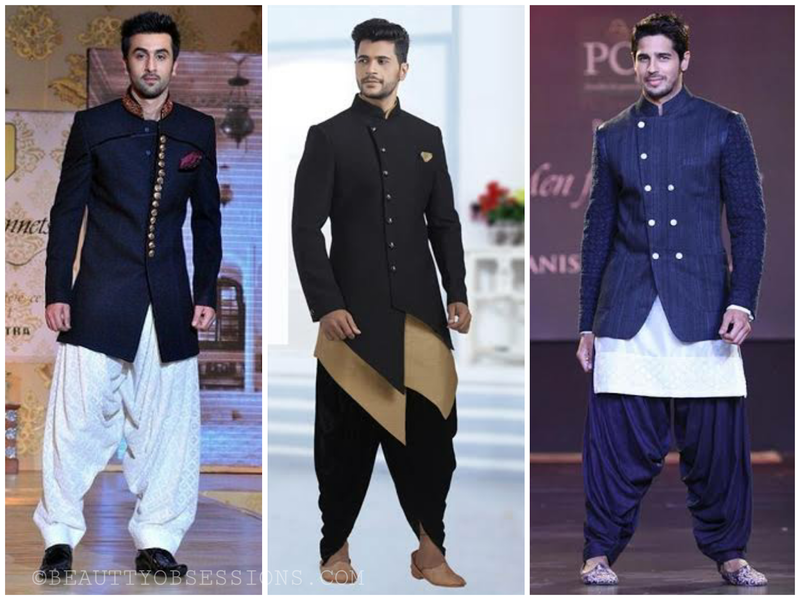 Indo-western looks are the in-thing nowadays. It brings the best of both worlds and is known to dazzle onlookers. Personally, I would recommend going for a solid kurta with straight fit pant and a vibrant jacket. When nothing goes right, go with the simple yet classy kurta pyjama look. This look is ideal to try out when attaining a friend’s wedding or relative’s wedding. You can add a brocade or textured jacket to enhance the look. If you are thinking about going with a completely western look, then a classic, well fitted black suit is your best bet. Pair it with a solid light colour shirt and see your overall look compliment your dashing personality. I personally love this look because it looks so classy and simple. For this look, I would recommend wearing a simple casual shirt with a straight or linen pant. Complete the look with a waistcoat for a charming finish. This is the most royal looking outfit among all the options available. Even celebrities are often seen opting for opting this look at weddings nowadays. 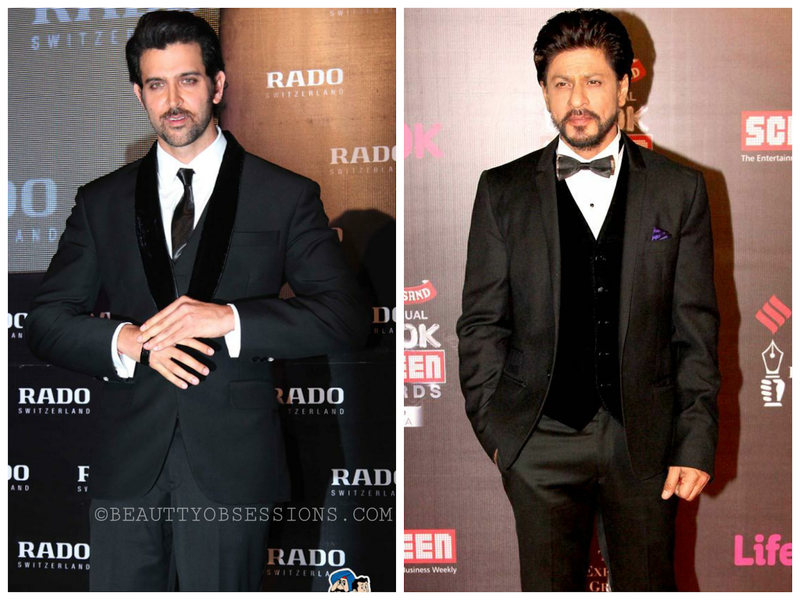 So take a cue from their style and get a well-tailored Bandhgala suit with a colourful pocket scarf. This look is ideal to wear at any wedding, reception or other cocktail parties. So these are some of the options in men wedding dresses which are the talk of the town right now, visit site to find more options. But one important point, whichever outfit you may want to buy, always keep comfort as your priority. That’s because comfort and confidence are key to enhance your image in any outfit. Hope you found this post helpful. See you in the next post with another exciting topic. Till then stay happy. It really is a confusion for the men to find their perfect outfit but then the list you’ve compiled is perfect. I’m sure that there is something for everyone here. My favourite is the classic Black Suit. A man can never go wrong in it! Hey,i love the list you have curated showcasing some of the best options for men. Much needed considering wedding season is just round the corner. Good one! I especially love the elegance of a bandhgala for any wedding occasion. 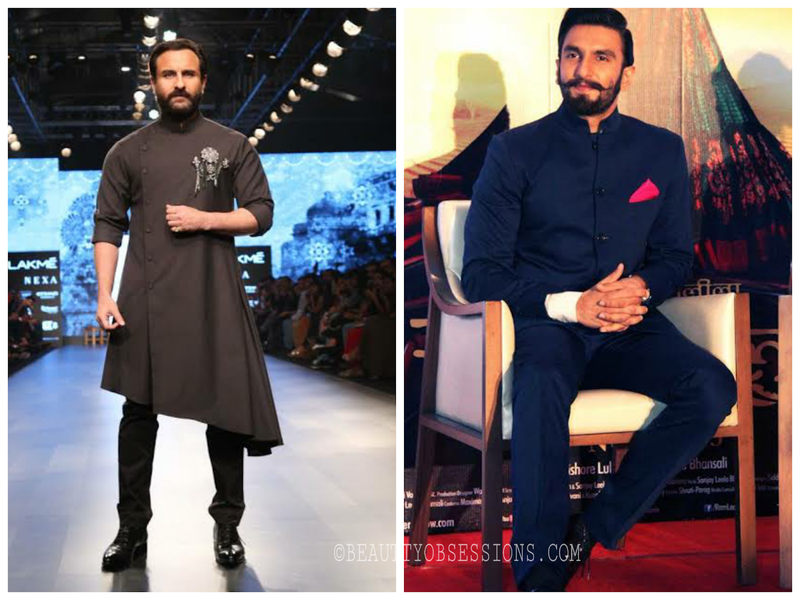 A simple Kurta-Pyjama with Nehru jacket is also easy and stylish at the same time. Of course, one can never go wrong with a suit either! Sami casul waistcoat look is my all time favorite. I am going to share this post with my not so fashionable brother. He needs to read this for sure . Very interesting post, with all the focus on woemen's wedding outfits, this seems like a breath of fresh air. 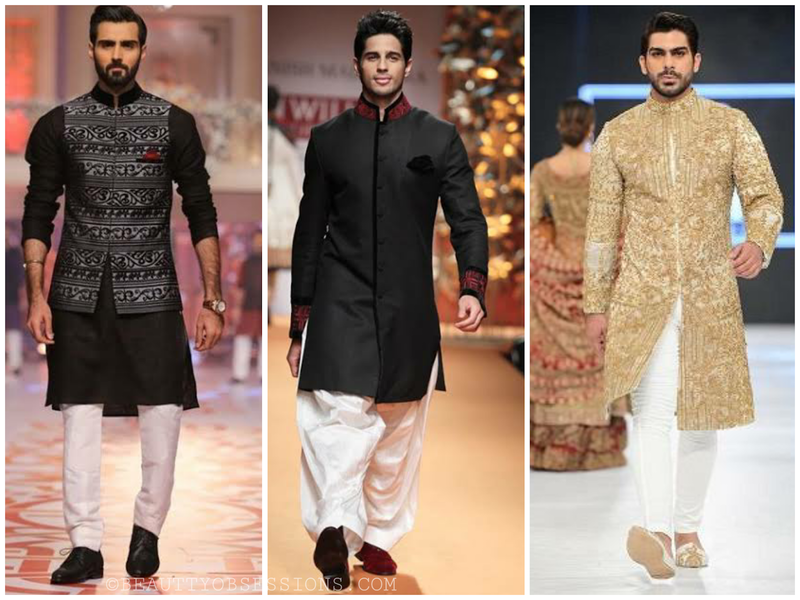 There are so many variants described here which all give a spectacular look to men's wedding outfits. But nothing to beat the classic black suit and the Kurta Pyjama variants. This all the best picks.. I personally like the semi causal waistcoat look.. As wedding season coming your post is very helpful to search perfect outfit of men.. These are such wonderful options for me. With the wedding season just around the corner I am sure many would benefit from this post.